Rumors have been flying around the Magic Kingdom that one of the most popular events would be returning this year. Today those rumors were put to rest when Walt Disney World announced that the 24 hour event to kick off summer at the Magic Kingdom would offically take place May 22-23rd. Starting at 6:00am, the “Coolest Summer Ever” promotion would start bringing all the fun and excitement into one 24 hour block. These 24 hour events are jam packed with rides, shows, special merchandise, and dance parties to keep you wide awake into the morning! 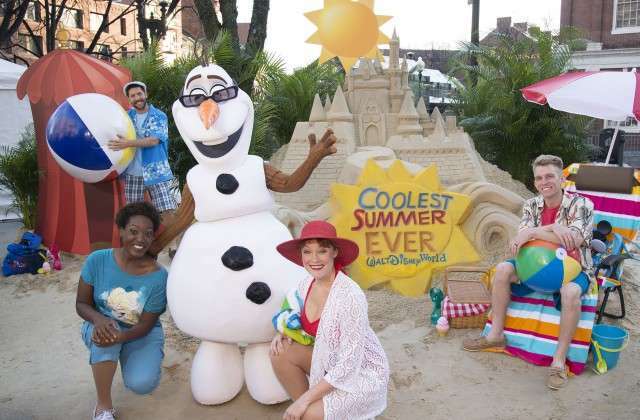 Walt Disney World Resort will kick off the “Coolest Summer Ever” with 24 hours of nonstop fun during a special event May 22-23 at the Magic Kingdom, hosted by Olaf, the summer-loving snowman from Disney’s blockbuster animated hit “Frozen.”To announce the 24-hour event and the cool summer season, Disney today brought to life a warm summer scene inspired by Olaf’s dream, creating a 20-foot-wide beach complete with a Cinderella Castle made of sand in the middle of winter-weary Boston. 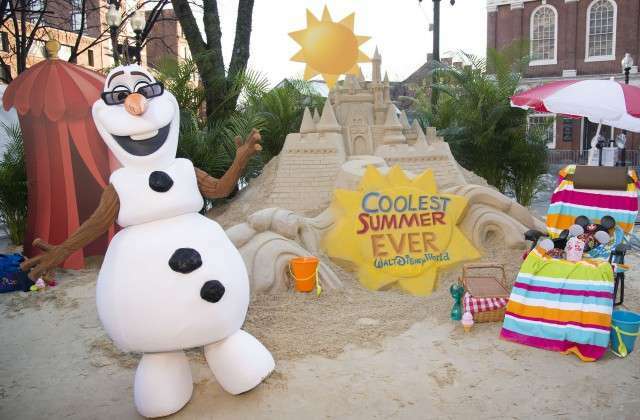 Surprised pedestrians near historic Faneuil Hall were greeted by Olaf and joined by playful beach-goers in summer attire with beach chairs and beach balls – all reminders of an exciting season of fun ahead at Walt Disney World Resort and a welcome relief from the city’s near-record snowfall approaching nine feet.